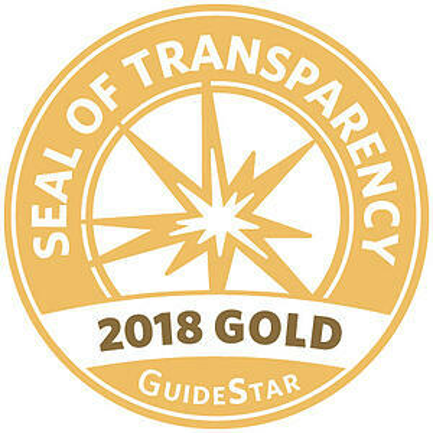 If you are looking for a place where your charitable gift can make a highly significant impact, you may have just found it. Today’s youth are tomorrow’s leaders. Few things are more important than nurturing and inspiring young people’s skills and knowledge, character, morality, positive ambition, and yes, spirituality. You are on the website of a school which is in one of the fastest growing counties in the US. A school which has tripled in enrollment in the past eight years. Where a growing team of exceptional, highly-relational teachers have been recruited and empowered. But there’s a problem. A few million dollars is needed to build more classrooms to keep up with demand. Otherwise students and their families will unfortunately be turned away. You can help enable this high school to make an even Greater Impact through gifts from your Donor Advised Fund, IRA required minimum distribution, appreciated stock, real estate, or cash. Come visit and see what’s happening here. You might find what you’ve been searching for. The Parker Community has a pressing need for expanded private educational opportunities to serve its existing and expanding population. As the Parker area grows, the demand for a Christian high school that values highly relational community, excellence in academics/extra-curricular activities, and the bold proclamation of the Gospel of Jesus Christ grows with it. Lutheran High School desires to build its enrollment to 700+ students to meet this growing need and partner with the community to refine its product to best serve the needs of the families that desire Christian education. Greater Impact is the vision that will expand the reach of the mission of Lutheran High School – to nurture academic excellence and encourage growth in Christ. Greater Impact is the campaign that will rally all members of both the Lutheran High School community and the Parker community to see the vision to completion. If you did not receive a capital campaign brochure, please click here to have one mailed to you. Phase 1 of Greater Impact addressed what was an immediate need to replace the worn-out turf on the football/soccer/lacrosse field and add stadium lighting. Bleacher expansion was delayed pending the addition of more parking (required by the Town of Parker). The current building serves 475 students. By adding four modular classrooms in 2016, 575 students can be accommodated. Phase 2 of the Greater Impact campaign will increase the capacity of the permanent school building to 700 students, growing into one of the five largest Lutheran high schools in the country. In early 2017, leadership gifts and pledges of $730,000 were generously provided to create momentum for expansion. In August 2017, the school board unanimously approved moving forward with a public capital campaign seeking 3-year pledges to fund Phase 2. 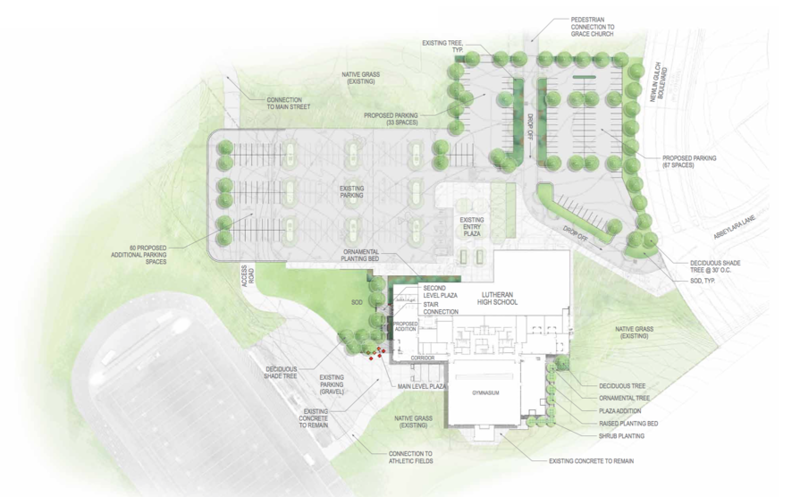 Plans are now being developed to renovate and expand the current building to create engaging learning spaces to maximize student learning and meet the needs of school programs, including the Academies. 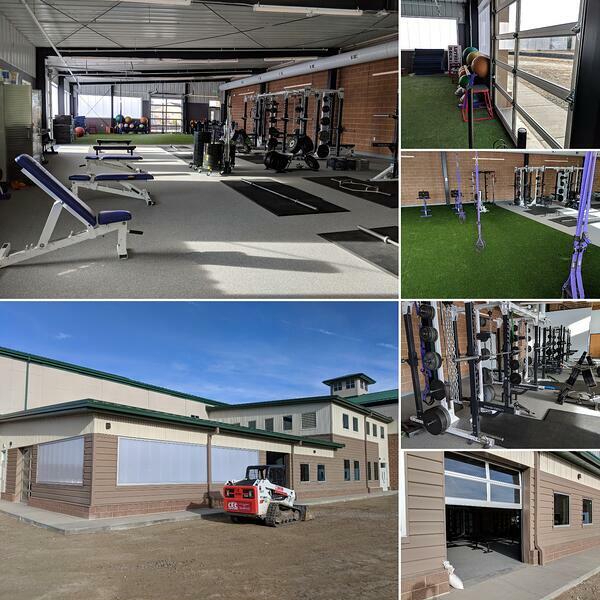 Phase 2A was the renovation of the current weight room into four new classrooms by moving the existing weight room to a new location east of the gym (cost: $1,375,000; classrooms completed in August of 2018, new weight room completed in January of 2019). 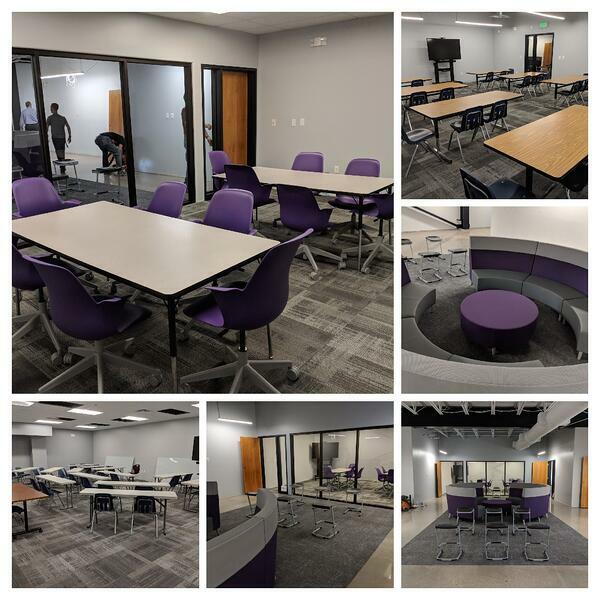 Please contact dan.gehrke@lhsparker.org or john.rinks@lhsparker.org if you are interested in helping fund new furniture for these classrooms or some new weight equipment for the new weight room. Phase 2B will build a new wing of classrooms (replacing the west modular unit) and renovate the current building, resulting in eight additional classrooms. 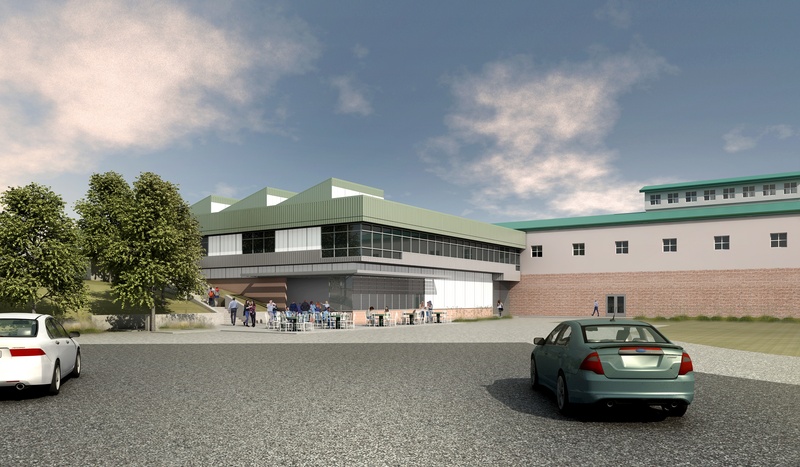 This phase will include relocating the cafeteria to the lower level to provide concessions and bathrooms for athletic events at our stadium (cost: $2,500,000; completion in 2020 dependent upon funding).